Dr. Spero Theodorou, M.D., is an experienced and talented plastic surgeon who specializes in a full range of plastic surgery and cosmetic surgery procedures. 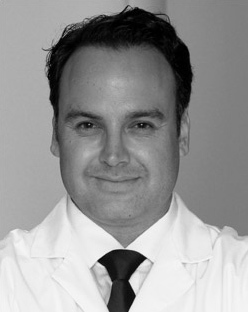 He is the Surgical Director of bodySCULPT®, a leading plastic surgery practice in Manhattan, New York City (NYC). Dr. Theodorou is committed to providing his clients quality care and personalized service to improve and enhance their looks. Combining traditional methods with state-of-the-art techniques in plastic surgery, Dr. Spero Theodorou provides the most effective aesthetic treatments to satisfy each individual’s needs. His clients are especially appreciative of his expertise in SmartLipo Triplex and BodyTite™ liposuction procedures. Over the years, Dr. Spero Theodorou has successfully performed hundreds of plastic surgery procedures and helped patients to overcome physical imperfections to make them look and feel beautiful and rejuvenated from the inside out. Dr. Theodorou also conducts training for surgeons in SmartLipo and other cutting-edge advancements in plastic surgery. Set up a personal consultation with Dr. Spero Theodorou to learn more about plastic surgery procedures at bodySCULPT®. Contact bodySCULPT® at 1-800-282-7285 or send an email to info@bodysculpt.com.